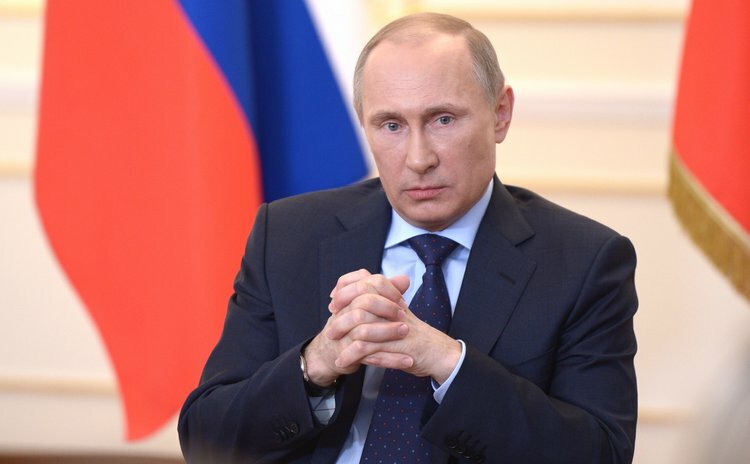 MOSCOW, March 4 (Xinhua/Sun) -- What happened in Ukraine could only be described as an anti-constitutional coup and armed seizure of power, Russian President Vladimir Putin said Tuesday. During a live interview with a local news channel, Putin said that by the time of signing the agreement on Feb. 21, Ukrainian President Viktor Yanukovych has in effect given up his power. "I told him he had no chances to be reelected. So I don't understand why the opposition needs to seize power by force," Putin noted, adding Yanukovych remains the sole legitimate president of Ukraine, although he has no power. Putin said Yanukovych would have been killed if Russia didn't give him a refuge, and Moscow did so "on humanitarian motives." According to Putin, Russia received direct request from Yanukovych about military assistance. "If we'll see the lawlessness starts in eastern regions, we reserve the right to use all means to protect these people," Putin said, though he stressed that would be the last resort. "Our armed forces are brothers in arms, many officers know each other personally. I'm sure Russian and Ukrainian troops will be on the same side, like it has been happening in Crimea," Putin added. As for the situation in Ukraine's autonomous republic of Crimea, the epicenter of the ongoing crisis, Putin said Russia encouraged protection of its military facilities there, and Moscow did it "timely and right." Meanwhile, Moscow is not considering Crimea's accession to Russia and won't encourage such sentiments, he said. Only Crimean themselves may decide for their own future, he added. Asked by reporters whether he was concerned by the fact that sending Russian troops to Ukraine may trigger a war, Putin said Moscow was not going to go to war with Ukrainian people. The president also warned that western countries need to think twice before making the decision to impose sanctions against Russia. "Those who are going to impose sanctions must think first, as the harm will be mutual in the modern world," Putin said, adding if western leaders don't want to attend the Group of Eight (G8) summit scheduled in June in the Russian Black Sea resort of Sochi, they are free not to do so. "We are preparing for the G8 (summit) and will be ready to welcome our colleagues, but if they do not want to come, they do not have to," he added. According to the Russian leader, Moscow is ready to disburse new tranche of financial aid to Kiev, but its western partners are asking not to do so for now. "They are asking us about working together in the framework of the IMF in order to get the Ukrainian government, the Ukrainian authorities to conduct the reforms needed to revive the economy," he said.